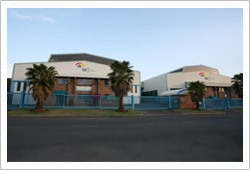 Founded by Renato Casagrande in 1975, Titanus Slew Rings (TSR) is today a global leader in the Manufacture & Supply of ball & roller type slew bearings. Our extensive manufacturing facilities, situated in Meadowdale, East of Johannesburg allows for the complete in-house manufacture & recondition of slew bearings, with sizes ranging from OD 300mm to OD 6,500mm. 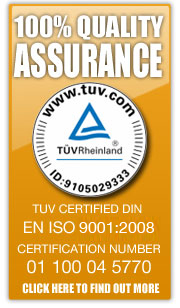 Our continuous commitment to quality and customer service, complimented by our TUV ISO 9001:2008 accreditation, ensures the TSR brand being synonymous with the supply of products & service to the highest quality & reliability standards. Our flexibility & diversity furthermore allows for application specific, design of product to meet exact customer requirement & supplied within shortest possible delivery period. Slew bearings are supplied for various applications within the Mining, Construction, Marine, Tele-Communication, Petro-Chemical, Renewable Energy & General Engineering Industries. Approximately 50 % of our production is supplied to international markets, either via direct OEM supply, or via long standing distribution agreements with reputable, industry leading, distribution companies. 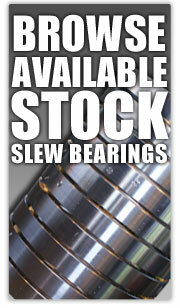 Click here to view our range of new slew bearings. Click here to view our range of reconditioned bearings. Click here to view our gear grinding process.